Thank you for your interest in the book Come Grieve Through Our Eyes: How To Give Comfort And Support To Bereaved Parents By Taking A Glimpse Into Our Hidden Dark World Of Grief by award-winning author Laura Diehl. 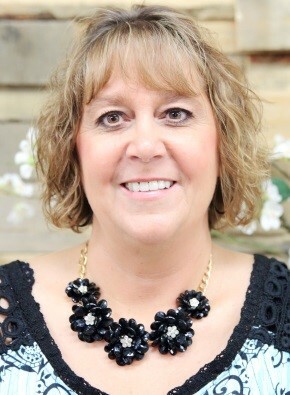 Along with being an award-winning author, Laura Diehl is an international teacher and speaker for her personal ministry, Crown of Glory Ministries, having traveled to over a dozen nations, specializing in children’s ministry, and also encouraging and equipping the body of Christ with what she calls the Triple Crown Transformation. 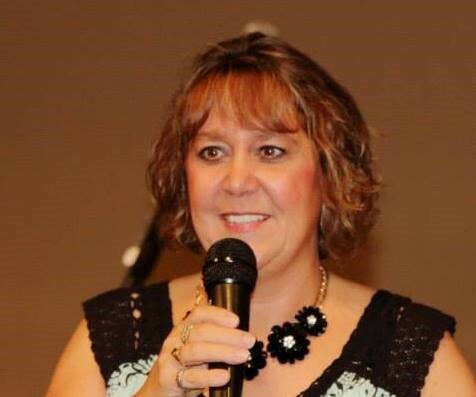 She got her start in full time ministry with Kids in Ministry International, spending ten years under the leadership of Becky Fischer. In 2012, the death of her oldest child sent Laura to a very dark time and place in her life. She had a difficult time finding people around her who had also lost a child and could offer her words of light, or hope. Three years after the death of their daughter, Laura and her husband, Dave, founded GPS Hope (Grieving Parents Sharing Hope) to help other grieving parents navigate through the swirling black waters of grief, and come to a place of hope and life again in a way she wished someone had been able to do for her. Laura has always had a love for writing, and had high school teachers tell her she was gifted in this area. She has spent the last several years dabbling in it, writing occasional blogs and articles. In 2014 she was asked to be a monthly contributor to a widely read international newsletter, writing an article for children. In April 2015, she wrote her first book, Triple Crown Transformation, and completed three more books in the following six months. 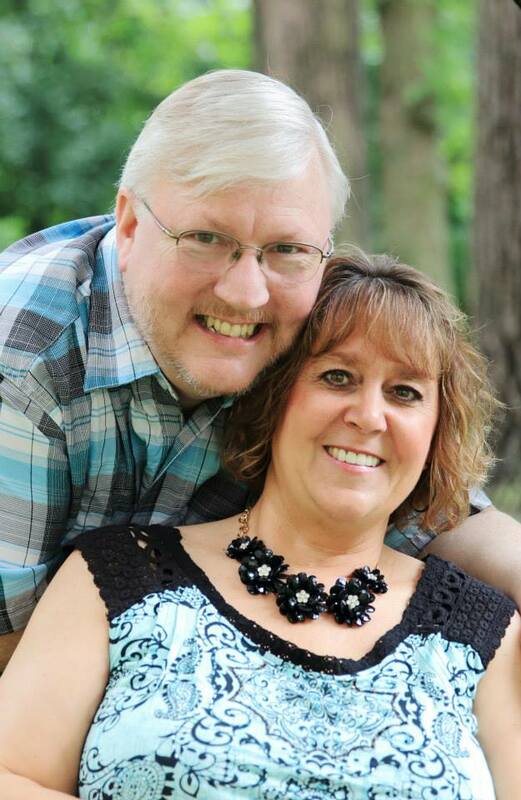 Dave and Laura Diehl live in Southern Wisconsin, surrounded by their other four children and growing clan of grandchildren, and are blessed to still have all four of their parents active in their lives. Have you ever thought about all of these school shootings, and wondered how the parents deal with their horrific loss? Do you know someone who has lost a child, and had thoughts of avoiding them, because you didn’t know what to say or how to act around them? Do you have a hard time understanding why a parent who has lost a child through death can hang on to their pain for months and years? Come Grieve Through Our Eyes was not written to make people feel sorry for grieving parents, or to compare losses. It was written to let those around them see inside the dark, hidden world of bereaved parents, to give a greater understanding of their darkness when they lose a child, and therefore to know better how to offer true comfort and strength. Laura Diehl has a passion to help grieving parents find their way out of their suffocating blackness to be able to live again. It will not be the same life, but it can be done, and it can be good. And it must be done for their own sake, and for the sake of those who need that parent, especially their other children. GPS Hope (Grieving Parents Sharing Hope) was started as a place for grieving parents to find hope. It is for those who are going through the deep dark blackness that only those who have lost a child from this earth can understand. Through Laura’s books and GPS Hope, bereaved parents will find others who are on the same journey. It is a safe place for their shattered hearts; a place to find resources and tools to give them hope, and to help them live again beyond the death they have experienced within themselves from the death of their child. A: I actually got the idea for Come Grieve Through Our Eyes while I was writing a different book titled When Tragedy Strikes (based on my experience of going from a pit of blackness to a place of hope and life after the death of our daughter, offering that same hope to other bereaved parents). I am on several Facebook groups of grieving parents, and the questions that were being asked, along with the answers being given, were very poignant and direct. One of the themes with these bereaved parents seems to be how hard it is to get people around us to understand what our lives are like now, after losing a child. I began thinking about the possibility of taking these questions, along with the raw and real answers, and putting them into a book, which would open the door for others to see what I was seeing, and to know what these bereaved parents are feeling and dealing with on a day-to-day basis. I started copying out pages and pages of what these parents were saying; their heartbreaks, their anger, their desperation, and their encouragement to each other. I ended up writing these two books simultaneously. Q: Do you think the grief of a parent is worse than the grief of other losses? A: All loss is painful. It really doesn’t help anyone to compare these losses. However, in answer to the question, most experts agree losing a child is the greatest loss a person can face. In Come Grieve Through Our Eyes I give a few references to some studies in this area. Those who have lost both a spouse and a child, or a sibling and a child, or lost both a parent and a child, will say that losing the child was much worse. Why is this? We know at some point in our lives we’re going to lose our parents from this earth. Unfortunately some children lose their parents at a very young age. But the older we get, the deeper the realization; this is something that is going to happen. For those of us who are married, even if we don’t talk about it, somewhere in the back of our mind we know at some point, one of us is going to die ahead of the other one. It’s pretty much a 50% chance that I’m going to be here without my husband at some point. Grandparents, aunts and uncles…those who are older than us are supposed to die before us. The death of a child totally disrupts that. It not only turns us upside down, but inside out. It is so very wrong to bury your child, no matter the age of that child. Many bereaved parents liken it to an amputation. A part of your very being is cut off from you, and somehow you have to figure out how to heal and how to function again. You will never be the same, as you will always have to deal with that part of you missing. I actually have an entire chapter on this subject, based on how comparing the grief of our losses is something that should be avoided. Q: Is this book for parents who have lost a child? My intent was to write it for people who know someone who has lost a child, and wants to know how to help them. However, I have had several grieving parents read this book, and say it has been very healing to them. Most of them are women who lost a baby either as a miscarriage, a stillborn, or within the first few hours of the birth. They have cried, as they tell me this book gave them permission to grieve the loss of their child. People around them expected them to get over their loss within a few weeks, since they didn’t really know their child or have a chance to raise them in any way. Some of the things I share in this book explains what happens to a mother when her child is cut off from her through death, and it has made these mothers know their grief is valid. And they find themselves 15, 20, 33, and even over 50 years later, crying and finally being able to mourn the loss of the child(ren) they never got to know and raise and live life with. 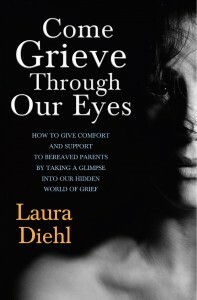 Q: Does this book only address the issues of bereaved parents? A: Yes. There are plenty of books out there dealing with other forms of losses and grief. I feel very strongly for me personally that I wanted to stay focused on the unique and difficult issues of these parents who have lost a child. However, several people who have endorsed my book have recommended it for those who want to help anyone who is facing a deep loss of any kind. They seem to have found things in it that were helpful to them in some of the losses they have faced throughout their lives. Q: Will those who know someone who has lost a child through miscarriage get something from this book? A: Yes, definitely. Most women who have had a miscarriage are told by the people around them that they shouldn’t be grieving years later, since they didn’t actually lose a child that they got to raise and know in a personal relationship kind of way. This has left very deep wounds in many of these women, and this book will help those around them validate their loss as being very real, and validate their need to grieve the loss of their child. Q: Why would I want to read about such a dark subject? A: Because unless you understand how dark our world is, you won’t really fully be able to help us in a way that can pull us out of that darkness. Believe it or not, the things I put in this book are on the lighter side of what parents are saying and doing in dealing with the loss of their child. If you read some of what I have read, and know some of the things I know, we would have people coming after us with white coats and locking us all up. I can’t even begin to describe to you the horror many parents go through when they lose a child. Death does not come from God. He made a way for us to escape it, but there is still a time of separation from those still living here on earth, and those who have passed through this earth. Death is evil, and I believe the death of a child is the epitome of that evil. In order to truly help us, you have to do what you can to understand the suffocating darkness we find ourselves hurled into. Q: What is this word “pareavor” that you use in Come Grieve Through Our Eyes? A: I am so excited to answer this question. When someone loses a spouse, they are called a widow or a widower. With the death of parents, a person is an orphan. Why is there no term for a person who has lost a child? This really bothered me, so one day I just started putting words together and came up with “pareavor”. “Pa” comes from being a parent, and “reav” comes from the word bereave. Reave actually means to plunder, seize, or tear away. That seemed to describe who we are; a parent who has had our child seized and torn away from us. We are pareavors. Those who have read the book seem to love it, especially pareavors. They started using it immediately and are sharing it with others. Q: What made you decide to self-publish? A: One of the main reasons is that going through a publisher means the book wouldn’t be coming out for a good year or more. I felt this is a message that needs to get into the hands of people as soon as possible. I am not out to become well-known or make a lot of money from this book. It’s a message I am passionate about, and I want it out into the market now, not a year or two from now, and have been willing to put in the time and effort it takes to do so. My book When Tragedy Strikes: Rebuilding Your Life After the Death of Your Child is being published by Morgan James Publishing and will be available in bookstores in July 2016. I am hoping when that book comes out, it will give this book, Come Grieve Through Our Eyes, a boost into even more lives of people who need the message. Q: Do you have other projects in the works? A: Not at this exact moment. I just completed a fourth book called From Ring Bearer To Pallbearer: Giving a Voice to Bereaved Siblings and Grandparents that is available right now on our website as a free e-book and will be available shortly on Amazon and Kindle. It’s a book to give a voice to grieving siblings and grandparents. My youngest son realized at four years old he was the ring bearer for his sister’s wedding, and at age 16 he was a pallbearer for that same sister’s casket. That is just so very wrong! I have discovered people don’t think about their loss and how deep of a loss it is. For siblings, they’ve not only lost one of the few people who know their entire life history, but also someone who should be sharing a lifetime of future memories. It’s like they lost their past and their future in one blow. People will say things to them such as, “Make sure you are good for your mom. She’s really hurting right now,” or will ask them, “How is your mom doing?” It is totally bypassing the fact that the person they are asking is facing the deep loss of their sibling, plus also facing the loss of their parents while in their intense darkness of grief. And grandparents are another group whose grief can get lost in the loss of a child. They are hit with a double whammy. Not only have they lost their legacy and their relationship with their grandchild, but they have to watch their own adult child go through horrible suffering and trauma at the death of that child. I have a whole list of book ideas and book titles, but for now I’m hoping to take it easy through the holidays to the end of the year, and will see what starts flowing out of me in January. In the meantime I will be keeping up with my weekly blog Gems from the Crown, and a few other things that I write. One of the best ways others can help is to simply be good listeners. Allow parents to tell their story as often as they feel the need, and that includes being okay with any tears. Melt downs actually happen frequently, daily for many parents, especially in the first one to three years or so. Grief attacks happen out of the blue for the rest of our lives. Unfortunately though, there many parents who are stuck in the second “level.” They take many more years to get to the place of painful acceptance, which is necessary, to be able to start building their new normal in a way that brings peace, joy, love, and laughter back into their lives. Do you know someone who has lost a child? Find out how to be there for a bereaved parent in the way they desperately need. JANESVILLE, WI – October 20, 2015 – A book written by a bereaved parent for anyone who wants to know how to help those who have lost a child. You will discover what helps, and what hurts, by entering into the world of dozens of grieving parents and the issues they now face. 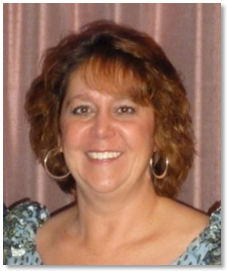 Laura Diehl is an author, and international teacher, and speaker, for her personal ministry, Crown of Glory Ministries. Laura and her husband, Dave, also founded GPS Hope (Grieving Parents Sharing Hope), after the death of their oldest daughter, to help other grieving parents navigate through the swirling black waters of grief and come to a place of hope and life again. Laura is also the author of When Tragedy Strikes: Rebuilding Your Life After the Death of Your Child (Morgan James Publishing, July 2016) and From Ring Bearer to Pallbearer (CreateSpace, November 2015). Come Grieve Through Our Eyes: How to Give Comfort and Support to Bereaved Parents by Taking a Glimpse Into Our Hidden Dark World of Grief (CreateSpace, $15.99, 198 pages, 8 ½ x 5 ½, paperback, 151861633X) will be available on Amazon and Kindle in November, 2015. There will be a live on-line book launch event on November 16th. For information about this event, or the book Come Grieve Through Our Eyes visit www.gpshope.org.